Meethe Miya in Banjara Hills is a vibrant sweet shop decked with fairy lights, pearls, and coloured wine bottles. Love authentic Hyderabadi desserts? Go here for a quick dessert feast. Did you know that when it comes to authentic desserts, Hyderabad gives a stiff competition to its own kebabs and biryani? 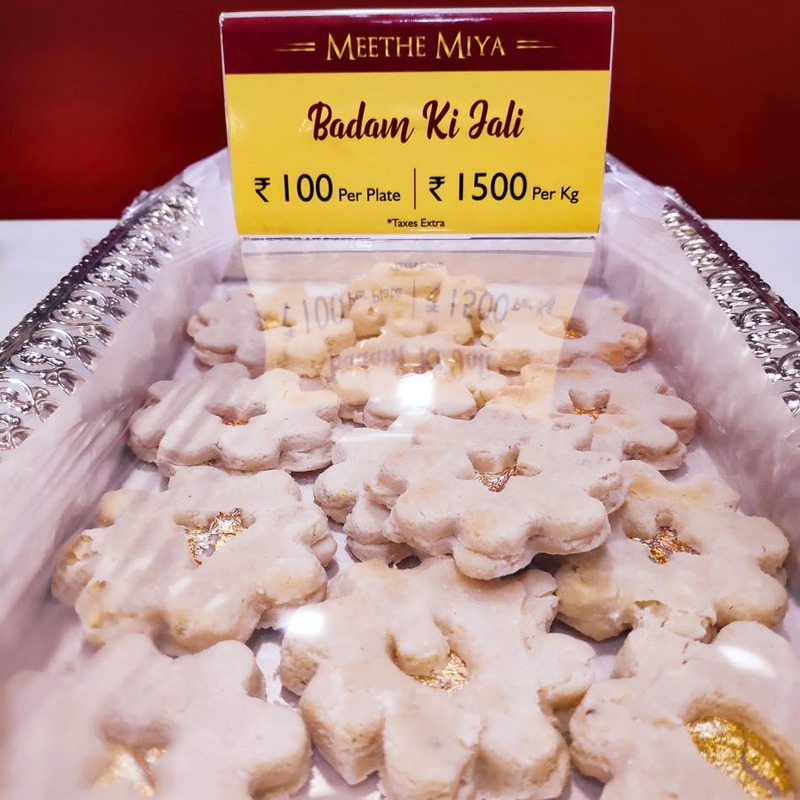 Complete with age-old dishes like Ande Ka Lauz and Badam ki Jali, Meethe Miya is a cute AF store in Banjara Hills which is all set to satiate your sweet tooth, Hyderabadi style! It goes beyond your regular Qubani Ka Meetha and Double Ka Meetha. They introduce your palate to dishes like Litchi Rabri, Anjeer ki Kheer, a selection of phirnis, laddoos and halwas - all recipes sourced from the royal Nizam kitchens. They even whip desserts like Ande Ka Lauz which is authentic to Hyderabadi kitchens. We tried their Shahi Tukda, Double Ka Meetha and Sheer Korma. May we say that this delicious spread reminds you of a Hyderabadi home on Eid? 100 per cent authentic! While you can get your hands on smaller, single-serve portions in-store, they also take up bulk orders on request.